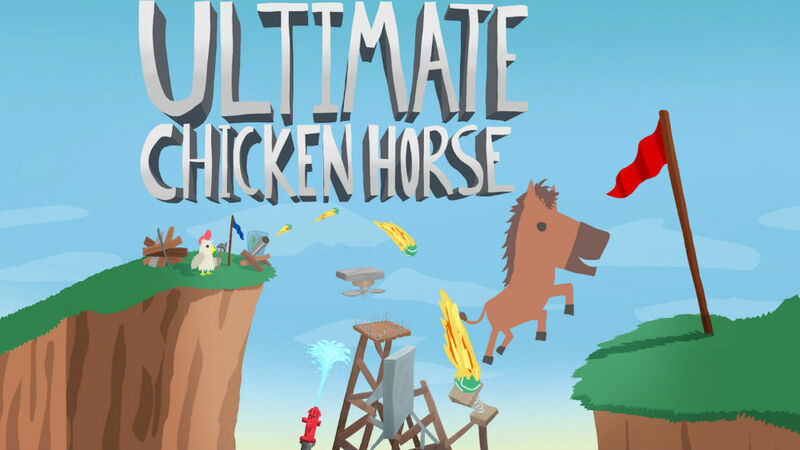 Get ready for a party, as the official launch of Ultimate Chicken Horse has commenced on Google Play for the NVIDIA SHIELD. Designed as a party game, with the title supporting up to 4 players at once, the goal is to reach the end of a level without getting destroyed by various in-level obstacles. The twist is, you design the levels. If a level is made too easy, points are not distributed. However, if your level features plenty of saws, arrows, and other deadly devices, you score many points. Be the first to cross the finish line without taking too much damage and you win. The game combines fun mechanics, such as wall jumping and bouncing, with an easy-to-master set of controls. So easy that anyone can get in on the action. Additionally, the game has an upbeat soundtrack, sure to get the blood flowing while you attempt to dodge arrows. Currently, there are 9 different levels to play with, but more are sure to come. Even with just the 9 levels, though, there are countless amounts of blocks to customize levels with. At this time, the only thing truly lacking is online multiplayer. We don’t know if that is coming, but it would be a huge plus. Priced at $9.99 on Google Play, the game is definitely fun if you have multiple SHIELD Controllers, and a few friends. Even if you only have one extra controller and your significant other, you will still have plenty of fun. Worst case scenario, if you don’t have a SHIELD, don’t worry, we may be cooking something up with NVIDIA to help you with that.